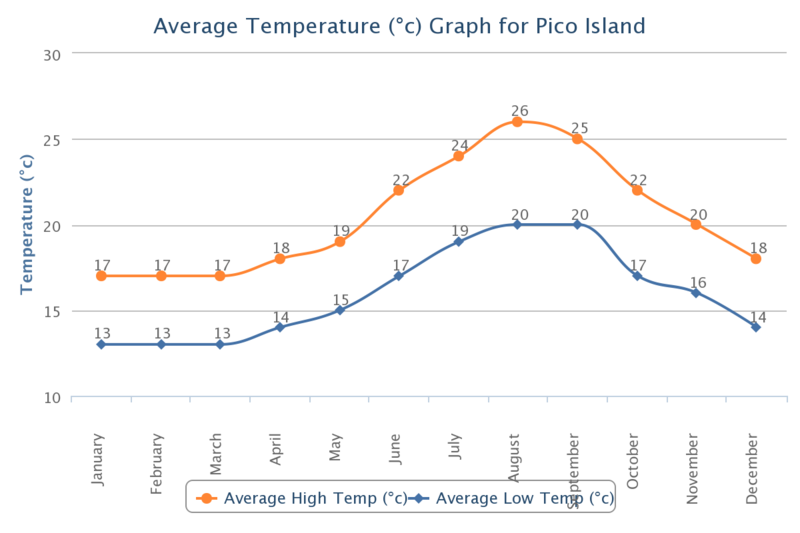 Pico Island has a mild weather all year round and the hotest months are May to October. 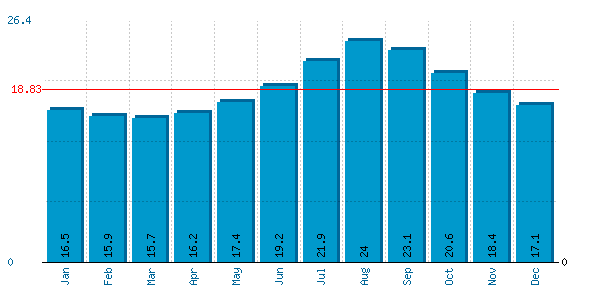 The graph below shows the average temperature on Pico Island in the Azores. The graph below shows the average sea temperature on Pico Island in the Azores. 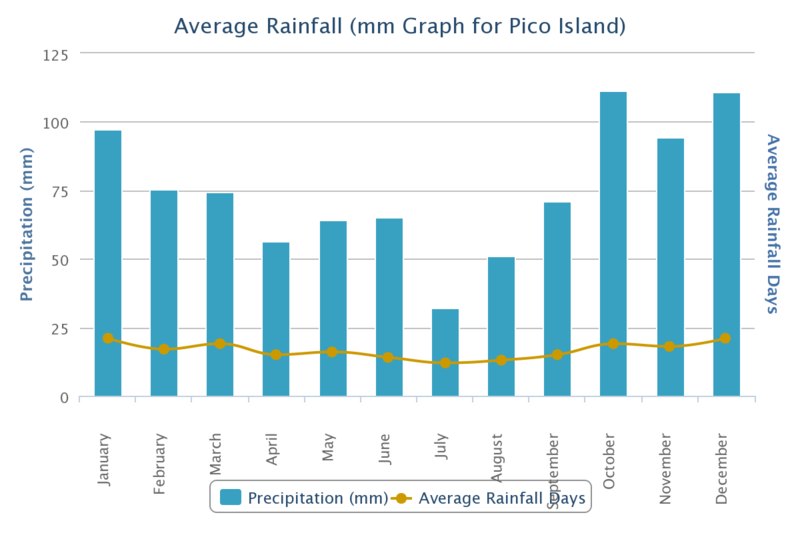 The graph below shows the average rainfall on Pico Island.